It's heartbreaking that on April 14, it will be 2 years after 276 young girls were abducted from Government Girls' Secondary School in Chibok, Borno State, Nigeria by Boko Haram. 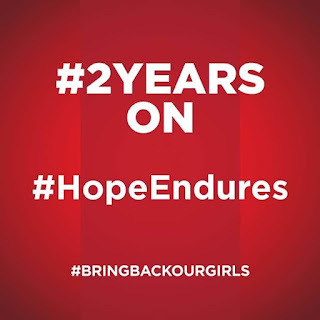 219 of them remain in captivity and have been for 724 days. 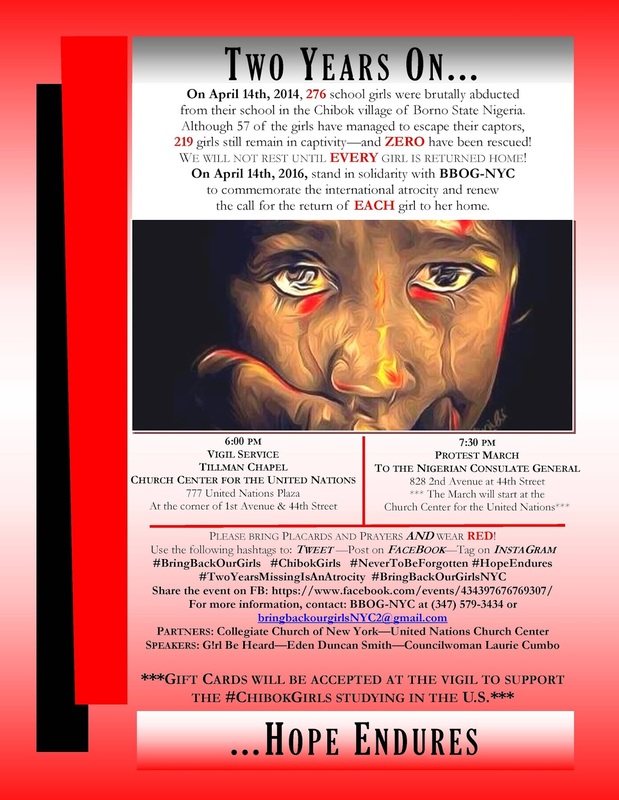 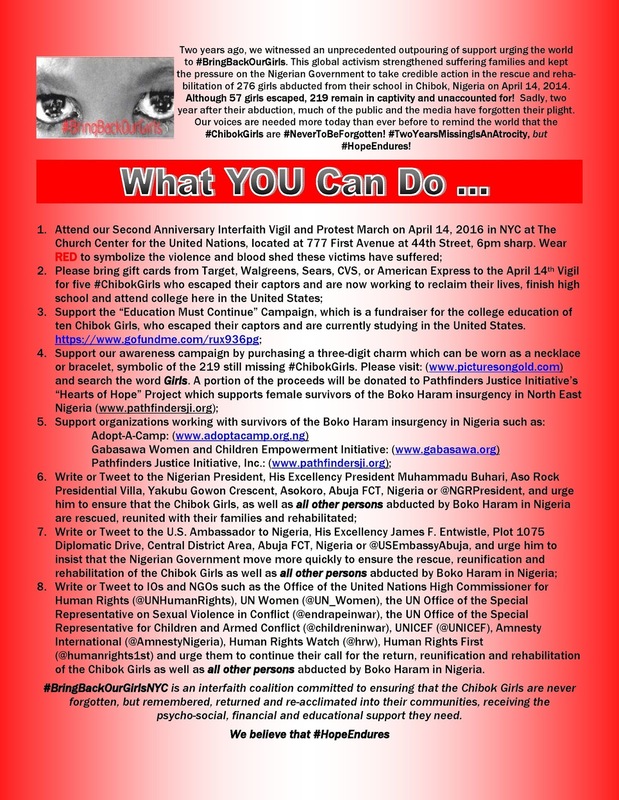 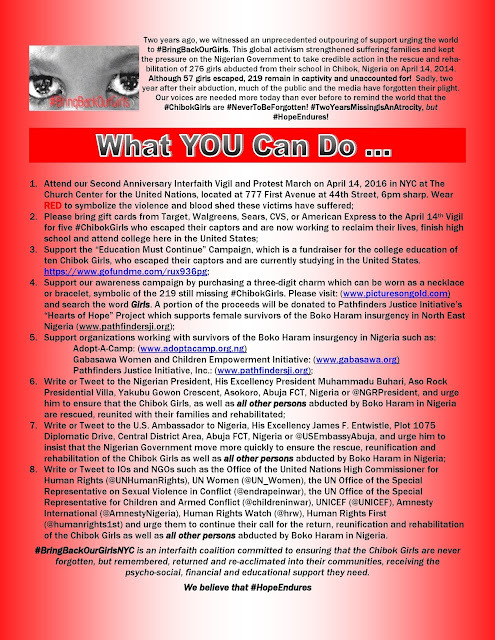 Join #BringBackOurGirlsNYC at 6pm on Thursday, April 14, 2016, at the United Nations Church Center, 44th Street and 1st Avenue to demand that our #ChibokGirls and all other Nigerians abducted by Boko Haram are rescued and reunited with their families. 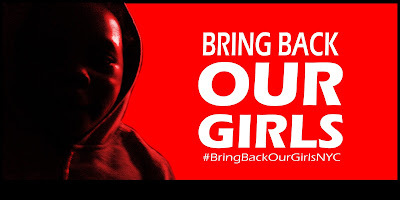 Let's work together to ensure that all abductees are rescued and reunited with their families.